What is your view on the just concluded general elections in the country? I think there was a kind of improvement over the past elections. Nigerians, who have become more enlightened, helped to change what used to hold sway in the previous elections in which only big names called the shots. In a way, plutocracy and kleptocracy are giving way to democracy that is premised on triple foundation of justice, liberty and decency. Did you see what happened to those who defected from their political parties? There are some states where President Muhammadu Buhari won with a wide margin but the contests for the governorship were a different ball game. In fact, some governors might lose those states in the rerun that arose from the contests. That shows the electorate considered not just political parties but the performance and character of the candidates as well. This is heartening and healthy development for our democracy. Before the presidential election, the ACF endorsed President Buhari, who is the candidate of the All Progressives Congress against a fellow northerner and candidate of the Poeples Democrtaic Party, Alhaji Atiku Abubakar. What informed this decision? But the ACF had earlier said it had no preferred presidential candidate for the 2019 election. Why did the group make a sudden U-turn? The outright endorsement of President Buhari was spurred by the need for the regime to consolidate on its performance, against the campaign by the PDP candidate to restructure the country and sell government asset such as the NNPC as well as the character of the parties concerned. How do you react to the allegation that the ACF was heavily pressured or forced to endorse the President since the PDP candidate was endorsed by some socio-cultural bodies such as the Afenifere, Middle Belt Forum, Northern Elders Forum, PANDEF and the Ohanaeze Ndigbo? The ACF was not pressured by anybody or government to endorse President Buhari. The endorsement was done after due consideration of the performance, campaign promises and strength of character of the parties concerned. What is your view on the controversies following the general elections? Controversies are expected in general elections, especially in a developing country like Nigeria. And there should be no worry about such controversies as long as they reveal shortcomings that can lead to improvement in the management of the electoral process. I think INEC has tried; it has improved over the past practice, albeit there is room for improvement. From what we witnessed and as testified to by observers, the electoral umpire has improved; it has not endangered democracy as some people will want us to believe. How do you think INEC should go about handling its affairs devoid of interference? INEC is protected by the constitution which provides for its independence. All the commission can do is to insist on its independence and shun any form of interference from any arm of the government. 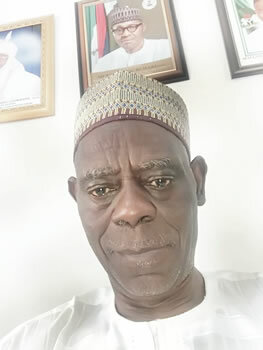 The presidential candidate of the PDP has gone to court to challenge the alleged irregularities in the 2019 polls against the advice of some notable Nigerians. 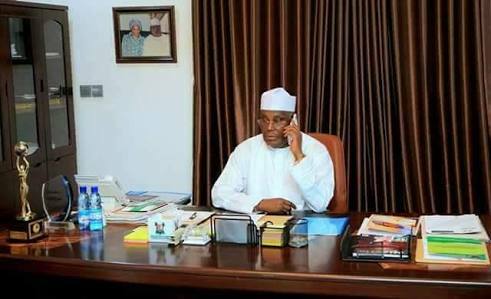 Did the ACF advise Atiku against going to court? ACF has not approached the PDP’s candidate not to seek redress in the election tribunal. This is because the forum is not privy to information at the disposal of the opposition. If the allegation of irregularities is credible, the opposition candidate has the right to seek redress in court. This, it is hoped, will bring about improvement in the management of the electoral process. But if the facts are not credible, we appeal to the candidate to concede and let the nation move forward. For example, I see no wisdom in challenging the qualification of President Buhari to contest because such issue is a pre-election matter. The convener of the Northern Elders Forum, Prof. Ango Abdullahi, once described the leadership of the ACF as ‘paper tigers’ and ‘forum for job seekers.’ What is your reaction to this? The ACF is not in a position to assess itself. It is Nigerians who can pass judgement on the forum. As to the allegation that members of the ACF are job seekers and contractors, I hope you can recall that the respected Prof. Ango was a member of the ACF and even contested the chairmanship of the forum. He has been the chairman of the political committee of the ACF, and has yet to resign the position. The ACF recently visited the President to congratulate him on his re-election. Did your group present a blueprint to him on how best to govern the country? The visit by the ACF was to congratulate the President on his victory. It was not to submit any recommendations or suggestions. But I believe the forum will make its recommendations when the need arises. What are your expectations of the President in his second term? My expectation is for the President to consolidate on his work on the fight against insecurity, corruption and to diversify the economy away from (crude) oil, which is not a result of hard work. The President should be interested in who become leaders of the National Assembly. This is to avoid a repeat of what happened in 2015 in which the party had to concede to leaders who had been at war with the executive. Also, a situation where minority would hold sway is against the tenets of democracy. What would you want the President do in his second term? I want the president to live up to his campaign promises made to the electorate to get their mandate. If Ronald Reagan (former US president) could court America for 12 years and at over 70 years, he was given the mandate, which he used to make America feel young again with a promise of glorious days ahead, President Buhari can do the same by making Nigeria feel young again with the promise of glory ahead.